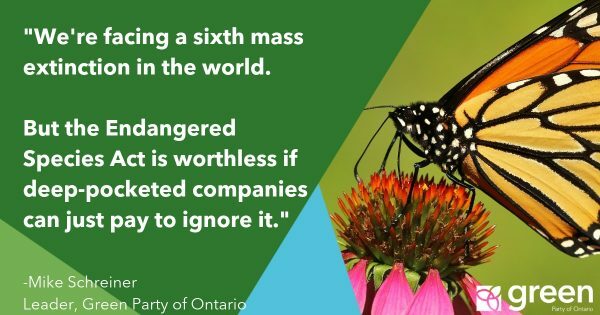 (Guelph): Ending the political games around selling off Hydro One is the message delivered by GPO leader Mike Schreiner at a rally today in Guelph. The rally opposed the Liberal government’s plans to sell off 60% of the public utility. “The three parties at Queen’s Park must stop playing political games so that we can have an honest conversation about pulling the plug on the Liberal’s Hydro sell off,” says Schreiner. All three parties at Queen’s Park have rejected funding recommendations for transit from various expert panels, business associations and civic organizations. 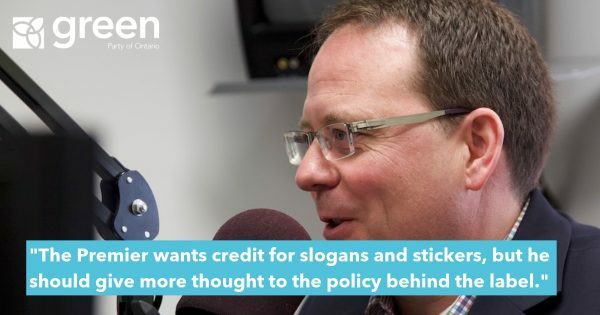 In an open letter to the Liberal, PC and NDP leaders last summer, Schreiner challenged them to work together on a funding solution for transportation that does not include selling Hydro One. 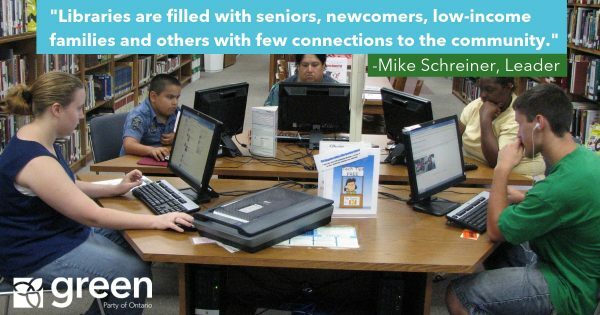 “Fairy dust and magic money trees won’t pay for much needed infrastructure,” adds Schreiner. Selling the public utility will not provide the financial benefits the government claims. According to a report from Ontario’s Financial Accountability Office, the province will lose between $300 and $500 million in revenue annually by selling 60% of Hydro One. The GPO supports expert recommendations such as parking levies, congestion charges, and land value taxes to fund the transportation infrastructure Ontario needs without liquidating public assets such as Hydro One.